Blogging has never been as popular as it is now. Decades ago, the concept of blogging was unheard of in most places around the world. Today blogs and online articles are a part and parcel of our digital lives. From products, reviews and travelogues to news, people from all over the world can read their favorite topics within seconds at the push of a button. A blogger needs to constantly create content for their readers. So, unless you have a dedicated team of fellow writers, you might find it hard to keep up the speed and deliver regular content for your readers. There are a number of great tech options out there to help you in this regard. One device that is absolutely necessary is a mobile phone that will allow you to get the latest updates and news from all over the world. A more important device to have, however, is a tablet. With its larger size, you can read content more easily and even take photographs to add into your blog content. It’s also far easier to write on a tablet than a phone thanks to its display size. You can even buy additional accessories, like a Bluetooth keyboard, for more convenient writing. You can also write while you’re on the go and even when you are stuck in traffic. The possibilities are endless. Thanks to the insane breakneck speed of emerging technology, the market is saturated with a wide variety of tablets. Lost all the major phone manufacturers have their own line of tablets. The sheer number of options can easily overwhelm you if you’re not sure about what you want. Every tablet will have its pros and cons and you have to pick the one that suits your specific needs. Here are some of the best tablets for bloggers. 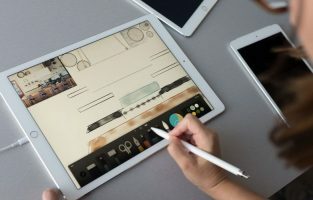 The Apple iPad Pro comes with a 10.5-inch Retina display, 4 GB RAM, Touch ID fingerprint sensor, 12 MP back camera, 7 MP FaceTime HD front camera, four-speaker audio, 802.11ac Wi-Fi and LTE Cellular data, 10 hours of battery life and weighs about 1.03 pounds. Like most Apple products, the iPad Pro is ones of the best tablets available for purchase in the market today. It also has amazing audio and a brilliant crisp display screen, making it a great option for those who like to watch movies when they aren’t working. Design wise, the iPad Pro comes in a variety of different colors, such as gold, rose gold, grey and even silver. The thin bezels on the side make the display look larger than it is, which is always a plus when writing is concerned. Very few tablets look as professional as the iPad Pro, to be honest. However, don’t expect this tablet to be that different from the traditional iPad, in terms of its looks. There are a few small differences, though, as the absence of the plastic cut out at the top which improves the aesthetics a bit from the previous models. The build quality is spectacular as expected from an Apple product. As far as performance is concerned, there is no comparison for nothing outshines the iPad Pro. Everything runs smoothly and the device is packed with tons of cool features that will help you to expedite your writing process. The 10.5-inch display comes with a resolution of 1668 x 2224 pixels and different storage options such as 64 GB, 256 GB and 512 GB. For writing purposes, the 64 GB version should suffice. You also need to get a keyboard case with a magnetic hinge for maximum efficiency as it will help you to set it up vertically. All in all, the iPad Pro is one of the best tablets for bloggers. It’s perfect for those looking for a professional looking device. It’s ideal for those who are looking for a tablet that runs with lightning speed and an amazing display. 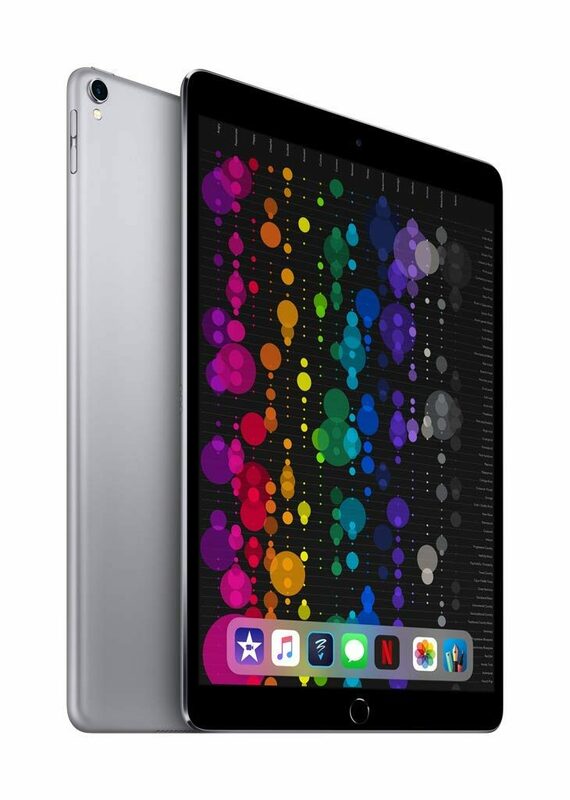 Those looking to buy a premium tablet will find the iPad Pro to be perfect for their needs. The Lenovo Tab 4 comes with an 8-inch FHD display, Dolby Atmos audio, enhanced fingerprint scanning technology, 1.4 GHz Octa-Core Snapdragon processor, 2 GB RAM, 16 GB storage space and 20-hour battery life. You also get a Micro-SD slot, combo audio jack and 802.11 b/g/b wireless + Bluetooth 4 connectivity. The Lenovo Tab 4 is unlike most of its competitors as it is a premium device in the mid-range bracket made for those who don’t want to splurge on the expensive iPad Pro. In today’s market, both the premium and the super cheap brackets dominate as far as sales are concerned. With the tab 4, Lenovo has been able to successfully launch an excellent mid-range product for those who want a taste of both. The design of a tablet is also a tricky thing. If the design is too out-of-the-box, then it might look too gaudy. However, if it is too simple, it might look too boring. Luckily, the Lenovo Tab 4 blends both spectrum’s perfectly to give us a stylish yet elegant tablet. 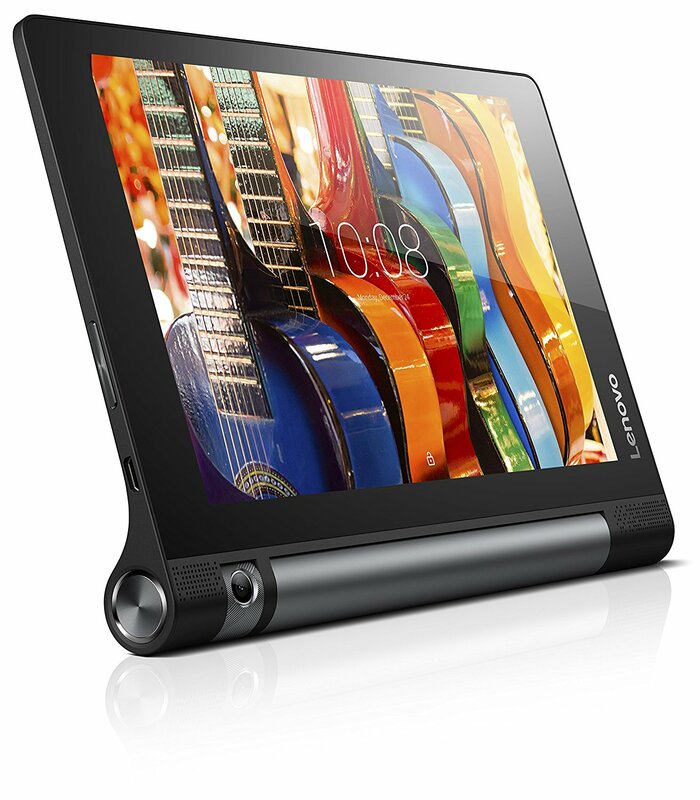 The back side of the tablet consists of a single glass sheet with a Lenovo logo in the middle. 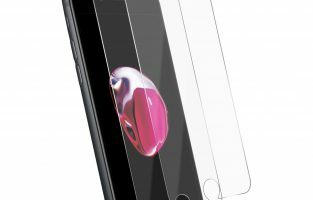 The device is 7 mm thin and weighs only 1.11 pounds making it compact and very easy to travel with. Performance at this price point is never usually guaranteed. However, the Lenovo Tab 4 surprisingly provides a good deal of power allowing you to perform tasks seamlessly, thanks to its Octa-Core Snapdragon processor and 2 GB RAM. You also get up to 20 hours of battery life which is insanely good. With mild use, you can easily get at least 12 hours before the battery dies. This is perfect for bloggers on the go as it allows them to write for a long period of time without the need to recharge the battery. Due to its compact size, large battery life and a decent display, the Lenovo Tab 4 is easily the best mid-range tablet in the market today for bloggers. It’s perfect for those looking for a premium mid-range tablet for their blogging purposes. Those who are looking for an affordable tablet with great performance and amazing audio will find the Lenovo Tab 4 to be an excellent choice. 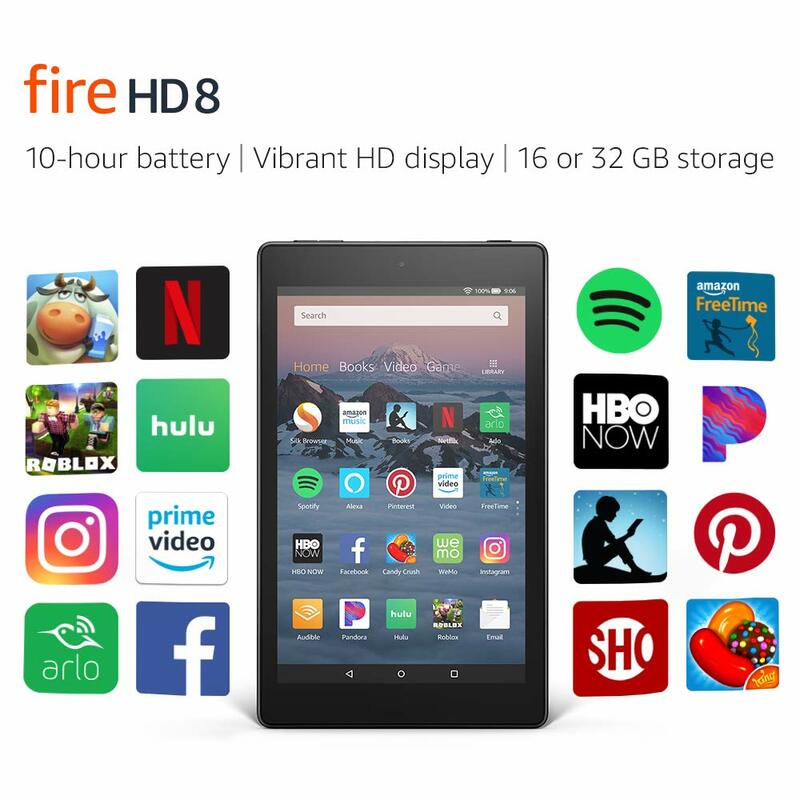 The Amazon Fire HD 8 comes with an 8 inch HD display, 1.5 GB RAM, 16 GB storage space, 1.3 GHz quad-core processor, Dolby audio, micro-SD slot (expandable to a total of 400 GB) and up to 10 hours of battery life. Fire HD provides 50 percent more RAM than Fire 7 resulting in faster performance. The 8-inch screen has a resolution of 1280 x 800 pixels and offers a vibrant viewing experience due to its brilliant IPS LCD display. As far as storage space is concerned, you can go for the cheaper 16 GB option or the 32 GB option. There is also the option of buying each of the variants with a standing case for some extra cash. The Amazon Fire HD 8 wasn’t made for professional use as the iPad Pro. It was designed for home use where you can cosy up in your favorite sofa/couch and browse your favorite content. It’s perfect for budding bloggers who are new to the world of online articles and content creation. The sturdy plastic exterior build provides enough durability that it can withstand small drops. What makes the Amazon Fire HD 8 stand out from its competitors is the variety of colors it offers for its models. You can choose from 4 different colors ranging from black to red and more to suit your personal preferences. Performance wise it is nothing great to write home about but at the same time, it’s a low-end device for beginners. It performs well for its price point but don’t expect to get the same performance you would get from mid-range or high-end tablets. It exists in its own niche and acts as a starter device than anything. On the plus side though, the Amazon Fire HD 8 lasts nearly a day without use and up to 10 hours on decent usage. You also get free Prime subscription for a month which is nice. The Amazon Fire HD 8 is one of the low-end tablets out there for budding bloggers today. It’s perfect for those looking for a cheap beginners’ tablet for writing purposes. Those who are looking for an affordable yet sturdy tablet will find the Amazon Fire HD 8 to be quite amazing. 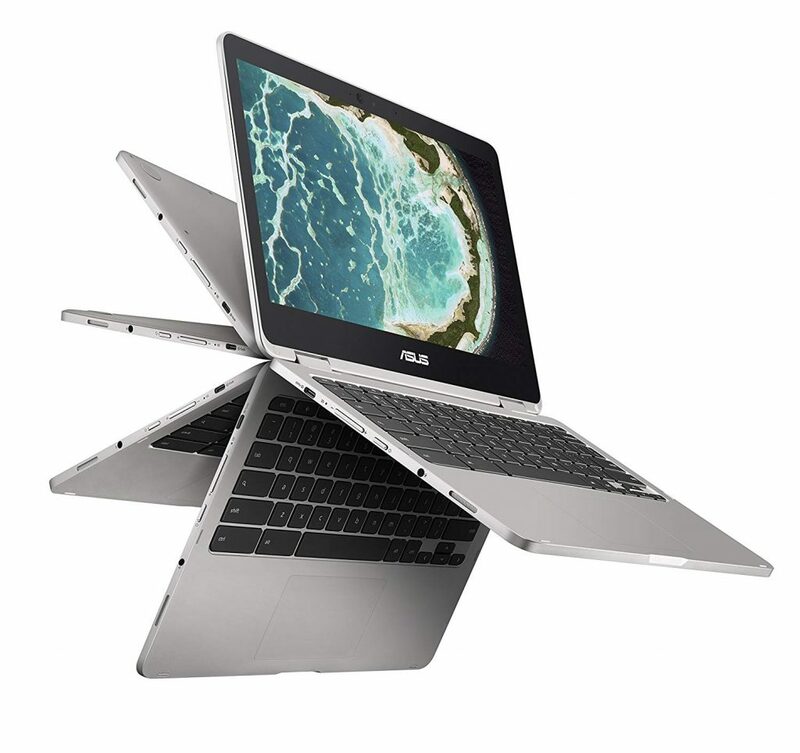 The ASUS Chromebook Flip comes with a flexible 360-degree hinge, 12.5-inch touchscreen display, 4 GB RAM, 64 GB flash storage, Intel Core m3 processor, the battery life of up to 10 hours and 100 GB free storage via Google Drive. With the unique 360-degree hinge, you can transform the laptop into tablet mode for more convenience. Since writing is way more comfortable on a laptop rather than a tablet, the ASUS Chromebook flip C302 offers a level of convenience and efficiency that no traditional tablet can provide. Design wise, it looks absolutely stunning with its aluminum chassis and anodized finish. It neatly folds into a single gorgeous slab of metal too. While it may feel like other 2-in-1 laptops, the ASUS Chromebook Flip C302 has straight edges and rounded corners as well as a thin (0.9 inch) frame making it look slick and stylish. Due to its magnetic clasp that pulls the screen tightly against the bottom part of the notebook, it feels like a single solid piece rather than a foldable one. Weighing only 2.65 pounds, it is also one of the lightest Chromebooks out there making it the perfect traveling companion. Performance wise the Intel Core M-series processor is the perfect choice for a 2-in-1 laptop as it provides far more power than the traditional Celeron chips found in some of its competitors. It works great for multitasking and runs smoothly even when multiple programs are running at the same time. The battery life is insanely good for a 2-in-1 laptop too at 10 hours and 40 minutes. With a decent workload, it will last for up to 8 hours which is still pretty damn good. Luckily, there are many things you can do to prolong its battery life, like turning off the keyboard back-light, reducing running tasks, lowering the screen brightness etc. Everything considered, there is absolutely no doubt that the ASUS Chromebook Flip C302 is the best 2-in-1 laptop/tablet available in the market today for bloggers. It’s perfect for those looking for a gorgeous tablet/laptop for their writing purposes. Those who are more comfortable writing on a desktop or laptop but looking for a more mobile device will find the ASUS Chromebook Flip C302 to be the perfect answer for their needs. 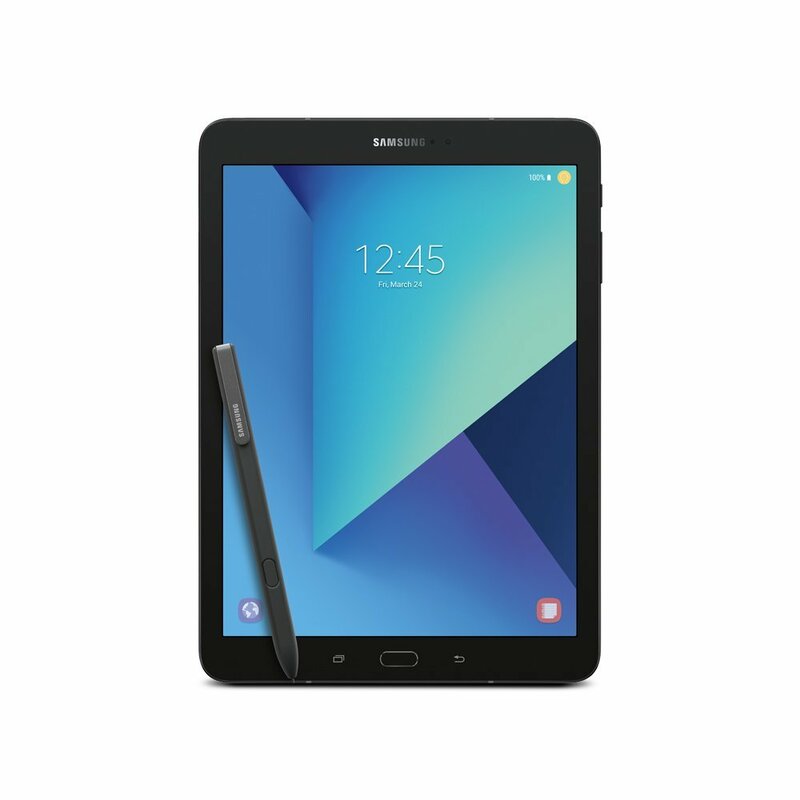 The Samsung Galaxy Tab S4 comes with a 10.5 inch Super AMOLED display, an Octa-Core processor, Android 8.0 Oreo OS, DeX software, Dolby Atmos sound and a stylus pen. One of the main selling points about this tablet is the DeX software which allows you to switch over to the laptop mode more efficiently and easily without the need of any bulky hardware. The DeX software basically mimics a desktop interface and even provides you with second screen capabilities. All you have to do is attach the keyboard cover and you will be good to go. However, you will have to buy the keyboard cover separately for the 2-in-1 tablet experience. Looks wise, the Samsung Galaxy Tab S4 looks absolutely gorgeous and sleek as hell with its glass and metal body. It looks even better once you attach the keyboard cover to it. It comes in two colors, namely black and gray. They also removed a substantial amount of bezel to provide the 10.5-inch Super AMOLED display as opposed to the 9.7 inch one in older models. It’s pretty cool to control your S4 from a distance with the help of Google Assistant using the far-field microphones. As far as performance goes, the device does a good enough job of running everything smoothly. You can easily run multiple tasks on this laptop without experiencing any issue. The 7300 mAh battery does a great job of providing up to 16 hours of video playback after a full charge. It also supports fast charging allowing you to quickly recharge your tablet in 3 hours and 16 minutes. As far as storage space is concerned, you can choose the 64 GB version or the 256 GB version. You can rack up an additional 400 GB via the micro-SD card too if you need a lot of space. All in all, it isn’t the best tablet available in the market today, but the DeX software along with the tablet’s looks, performance and battery life make it one of the better Samsung tablets out there today. With a few key updates and refinements, it could easily be one of the best tablets out there. It’s perfect for those looking for a premium Samsung 2-in-1 tablet for their work. 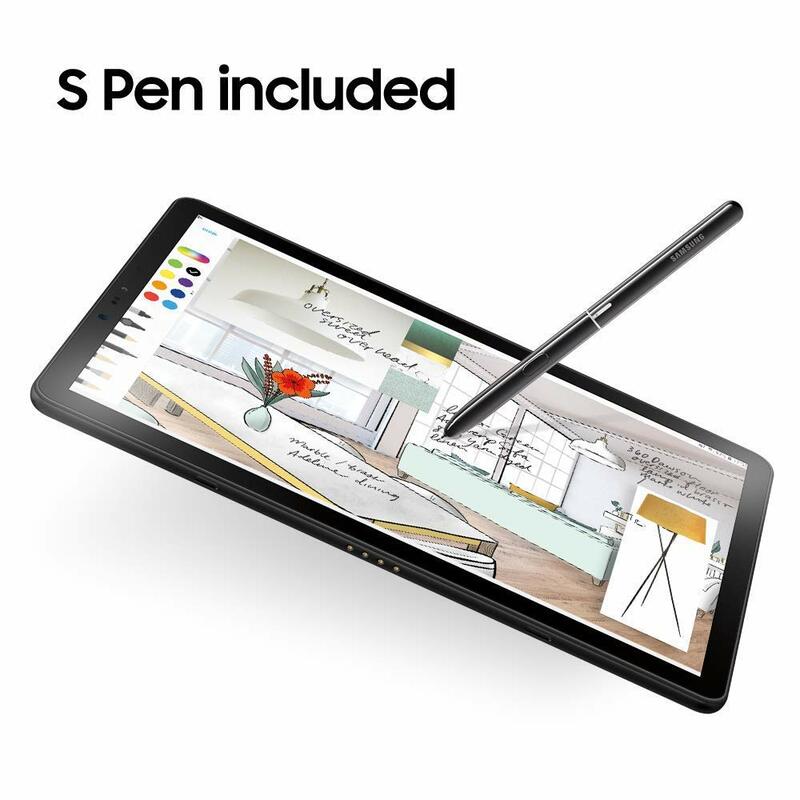 Those who are looking for a versatile tablet with a stylus pen will find the S4 to be ideal for their needs. 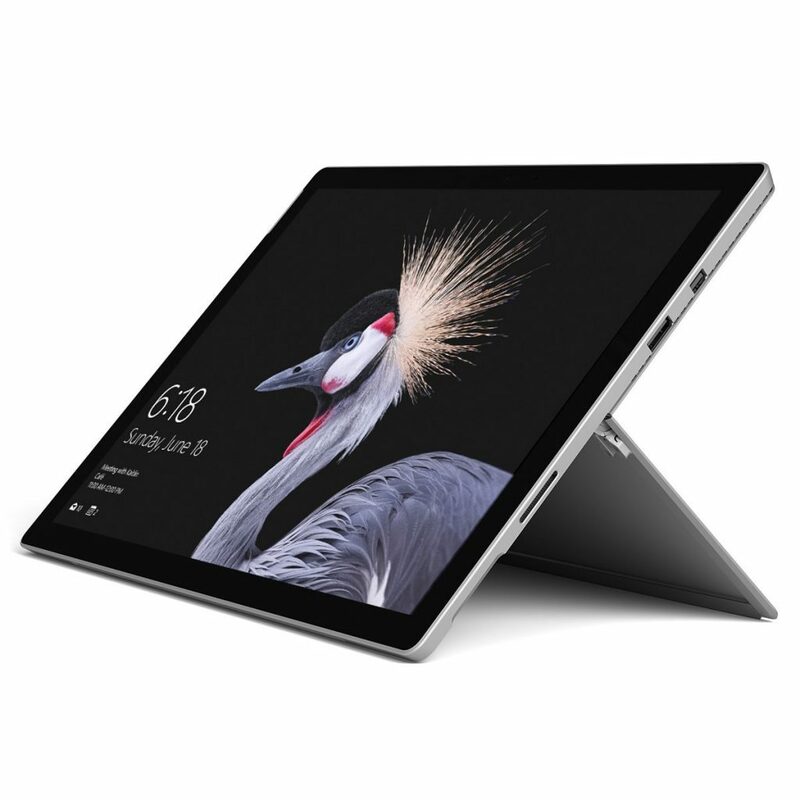 The Microsoft Surface Pro 6 comes with a 12.3 Pixel-sense Display, an Intel Core i5/i7, 8GB/16 GB RAM, 256 GB/ 512 GB/ 1 TB storage space, Windows 10 OS and loads of cool accessories (sold separately). 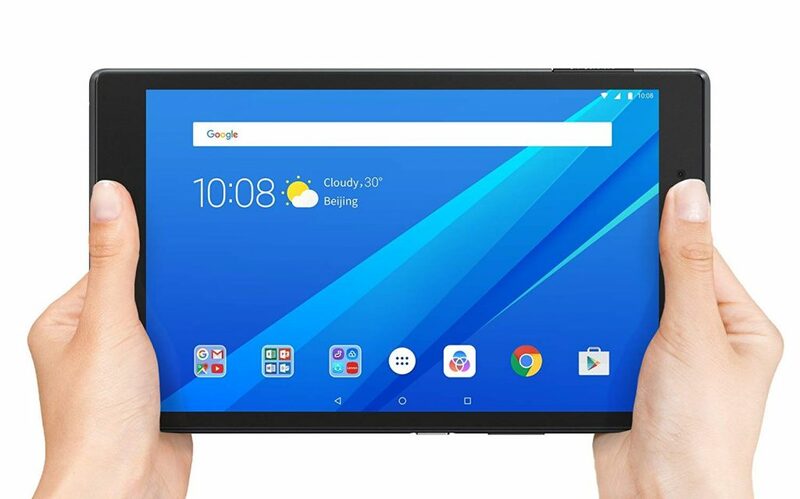 This tablet is a little bit on the expensive side and purchasing the various accessories will tip the scales more to the premium/high-end side, but it still is the best 2-in-1 tablet in the market today. You can transform this device to 3 different modes, namely laptop, tablet and studio mode. If you open the built-in kickstand and add the signature type cover you can convert it into laptop mode. If, however, you close the kickstand and remove/fold the type cover, you get the tablet mode. If you lower the kickstand to get a 15-degree angle, then you get the studio mode which is perfect for writing and drawing. The Microsoft Surface Pro 6 comes in two stunningly gorgeous colors (black and platinum) and exudes style. With a 0.33 inch thin body and weighing about 1.7 pounds, it is very compact and ridiculously easy to travel with. The display also comes with a stronger contrast ratio of 1500:1 which is substantially better than the previous model’s 1300:1 ratio. This gives you deeper blacks and brighter colors that really pop out. As far as performance is concerned, it depends on how much power you want because you get to choose from two ridiculously amazing options. You can either go for the 8 GB RAM version or you can go for the 16 GB RAM version. You can also choose the Intel Core i5 version or the i7 depending on your specific needs. It will, of course, cost you a little bit extra, but it is worth it if you want the power. Thanks to the 8th generation Kaby Lake Refresh processors and the introduction of quad-core processing, the Surface Pro 6 is in a league of its own as far as Windows tablets are concerned. All in all, the Microsoft Surface Pro 6 may seem a tad bit expensive but if its power you seek, then it is the best Windows tablet out there today. It’s perfect for those looking for a high-powered Windows tablet. 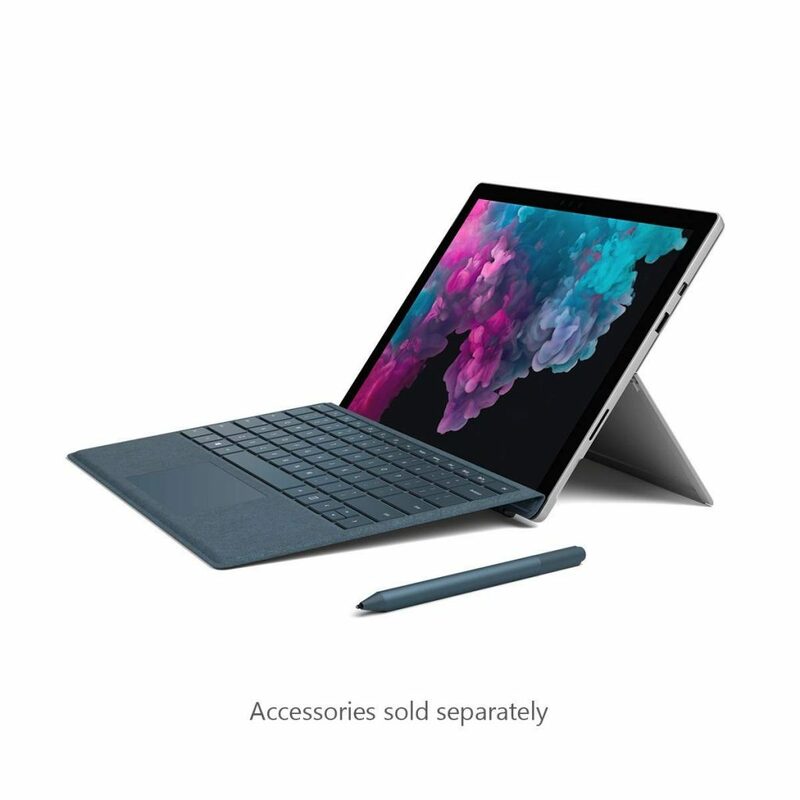 Those who are looking for a premium, stylish tablet that will run faster and longer will find the Surface Pro 6 to be one of the best options available in the market today. 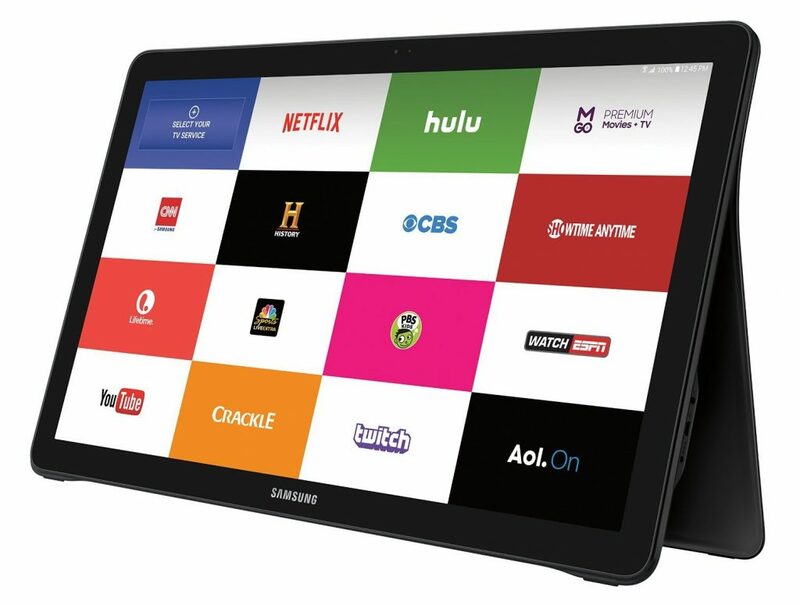 The Samsung Galaxy view comes with an enormous 18.4-inch Full HD TFT LCD display, a 1.66 GHz Octa-Core processor, 2 GB RAM, 64 GB storage space, 5700 mAh battery, Micro-SD slot and Wi-Fi (+4G LTE on AT&T) connectivity. What sets this device apart from all the others is, of course, its gigantic18.4-inch display screen which allows you to leisurely write to your heart’s content. It is a bit bulky given its size and weight but if you are looking for a large tablet to write on, then this is the perfect one for you. Thanks to its touchscreen display, you can also gain access to your favorite movies, games and apps with a single swipe of your finger. Looks wise, the Samsung Galaxy View has an uninspiring design, but then again, its looks aren’t that important. It looks and feels like a mini laptop than a tablet. Due to its large size, it’s perfect for shared viewing too making it ideal for sharing ideas and drafts of your content. Another interesting aspect of this device is that it really has no competitors. It exists in a category of its own making it unique. As far as performance is concerned it’s not that great, but it’s more than good enough to get the work done. The 18.4-inch display comes with a resolution of 1920 x 1080 pixels and a density of 120 PPI. As it comes with a case; you can set it up to get the perfect angle for writing comfortably and efficiently. It is also one of the most stable tablets available in the market today. Once you set it up according to the angle you want, it won’t budge until you change it. The viewing angles are also excellent and you won’t get any color inversions even at very flat angles. The battery life is pretty decent at 8 hours with continuous video playback. All in all, the Samsung Galaxy View is designed for a niche user who has specific requirements. It may not be for everybody but it does a brilliant job of catering to its niche market. It’s perfect for those looking for a tablet with a gigantic display. Those who are looking for a tablet that can also act as a second monitor for their other devices will find the Samsung Galaxy View to be very useful. It’s ideal for those who prefer reading content on their tablets thanks to its enormous display. The Dragon Touch X10 comes with a 10.6 inch IPS display, a 2.0 GHz Octa-Core CPU 8X Cortex A7, an Octa-Core PowerVR SGX544 GPU, 1 GB RAM, 16 GB storage space and a 7200 mAH battery. This tablet is easily one of the best value products in the market today by a long shot. The display comes with a pre-installed screen protector which is very handy to have. The IPS display really shines here as it allows you to view the screen from numerous different angles without the colors getting washed out. 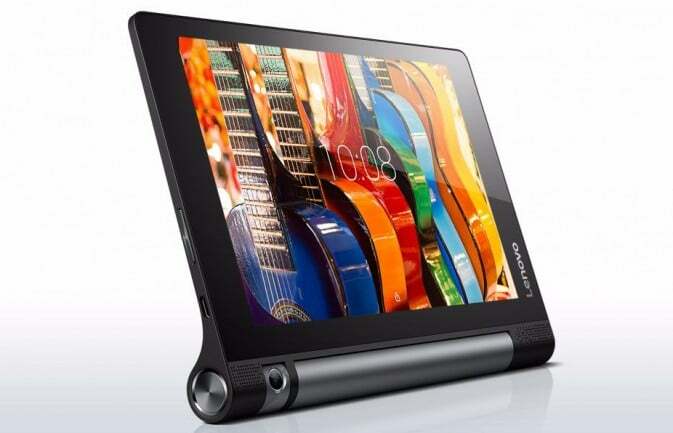 The 1366 x 768p resolution makes the tablet ideal for viewing content such as e-books, videos, films and more. You get clean and crisp visuals with deep blacks. The design of the Dragon Touch X10 looks sweet with a rounded rectangular body and the dragon branding on its backside. The body is actually soft to the touch which is pretty unique as most tablets have a very hard metallic/plastic casing. The overall design isn’t groundbreaking by any means, but it somehow manages to look both simple and aggressive at the same time. The X10 runs Android 5.1 Lollipop but if you want the latest Android 8.1 OS, then you can go for the K10 which is a newer version. However, the K10 only comes in white and the X10 comes only in black. When it comes to performance, the Octa-Core processor does a brilliant job of powering the tablet. Web browsing is very smooth on this device making it ideal for catching up on the latest news and researching content for your blogs. With the mini HDMI port, you can connect your tablet to various devices, such as an HDTV, projector, computers and more. Though the storage space is quite low at 16 GB, you can buy a Micro-SD card to increase it. It’s perfect for those looking for a great value tablet for writing blogs. If you really care about getting the most bang for your buck, then the Dragon Touch X10/K10 is the right one for you. It’s ideal for those looking to purchase an off-brand one of a kind affordable tablet. The Microsoft Surface Pro Tablet is one of the fastest and most powerful tablets available in the market. 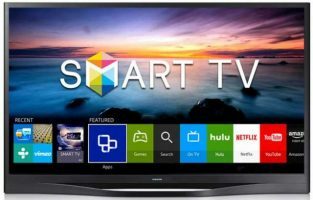 Its powerhouse performance and premium features make it well worth the price. With a screen size of 12.3 inches and a battery life of 13.5 hours, its performance is unparalleled. The hard drive comes with a 256GB availability and runs on an 8GB RAM. The Microsoft Surface Pro comes installed with Microsoft Office fully, which means it has inherent access to Microsoft Word. It runs on the Windows 10 Professional Operating System. The absence of a fan makes this device absolutely silent and prevents overheating. A stylus and keyboard are also available for purchase separately. This device also boasts of functioning like a Digital White Board. Samsung has long established itself as a leader in Android electronics. 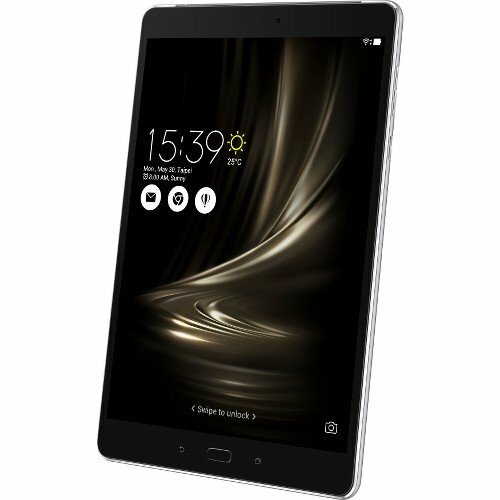 Therefore, it is not surprising that the Samsung Galaxy Tab S3 is one of the best options in the market. With features such as a 9.7 inch AMOLED Display and a 12-hour battery life, it is a superior product. The tab operates on a Snapdragon quad-core processor which enables smooth multitasking. It runs on the Android 7.0 Nougat Operating System. An important additional accessory provided is a superior quality Stylus Pen. It works on a soft touch, is pressure responsive and does not require charging. Also, a feather-light keyboard that automatically connects to the device, without the constraints of Bluetooth, is available for purchase separately. These are just some of the features that make the Samsung Galaxy Tab S3 a blessing for bloggers and writers. With its ergonomic design and premium quality, the Apple iPad is a tough competitor for all other tablet brands. With the iPad, Apple has focused on making the entire experience fun for the users. With a 9.7” touchscreen display, 128 GB storage space and 10-hour battery life, the iPads rule the market. The beautiful, eye-catching design and superior operating system (iOS) makes it the number one choice for bloggers everywhere. Attractive feather light keyboards are easily available online. Its hotspot compatibility and access to Siri makes it a bloggers dream come true. Several Applications such as the WordPress App and Author are also available for purchase on the App Store. Other exclusive features include a FaceTime HD Camera and Touch ID. 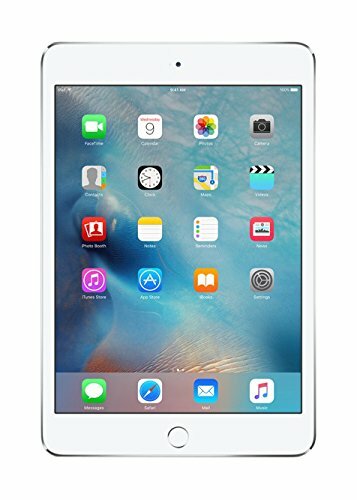 If the Apple iPad 2017 is too big or expensive for your taste, the Apple iPad Mini 4 is the best option for you. 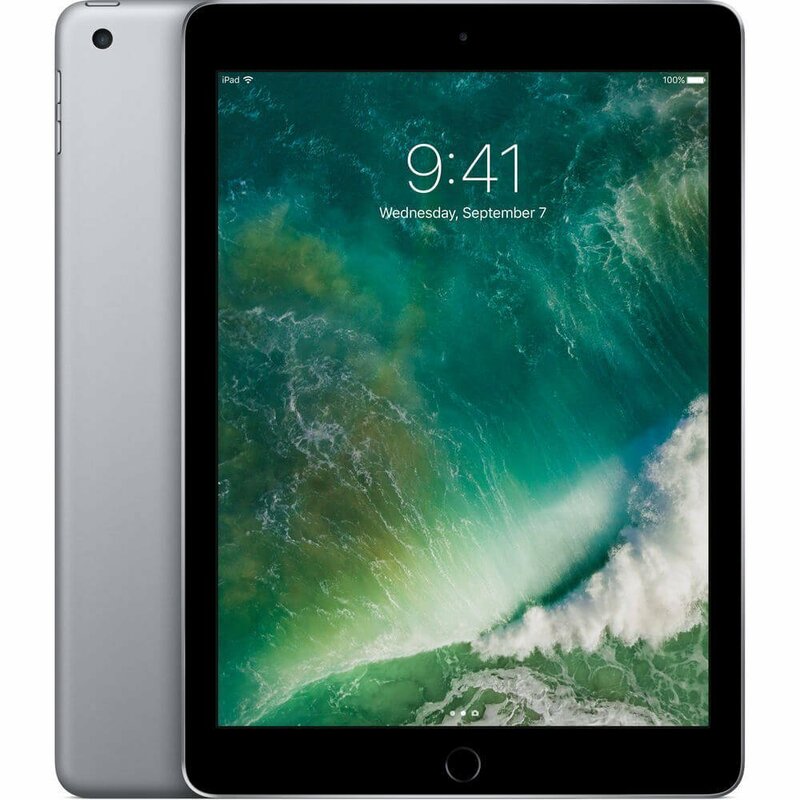 For about a $100 less, you can enjoy the same benefits of the iPad 2017 with this device. It has a 7.9-inch retina display and a 128 GB storage capacity. With over 10 hours of battery life, it is more portable and convenient than the iPad 2017.Its sleek design and light weight make it a buyer’s delight. With access to the App store and updated iOS, bloggers can download a variety of apps to make their lives easier. The iPad Mini is also compatible to attachable keyboards but these have to be purchased separately. 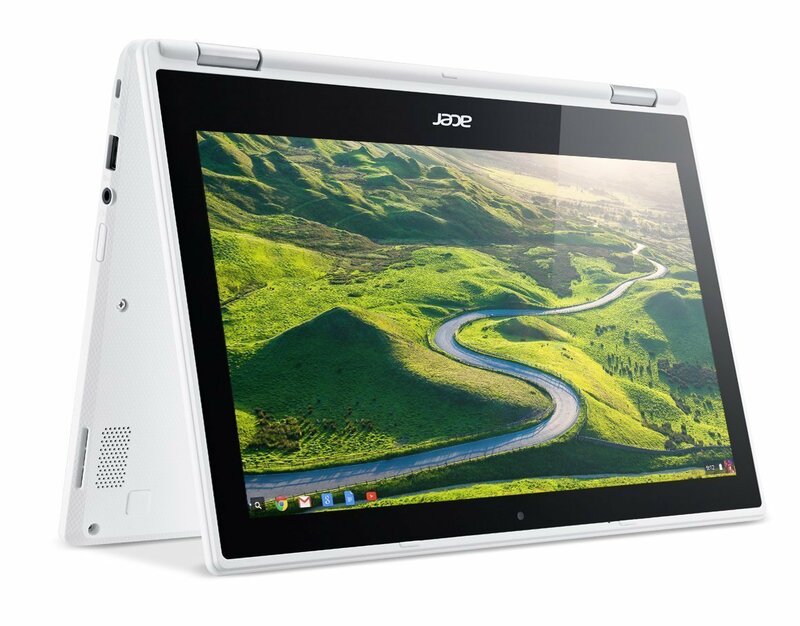 The latest introduction by Acer is the Acer R11 Convertible 2-in-1 Chromebook. 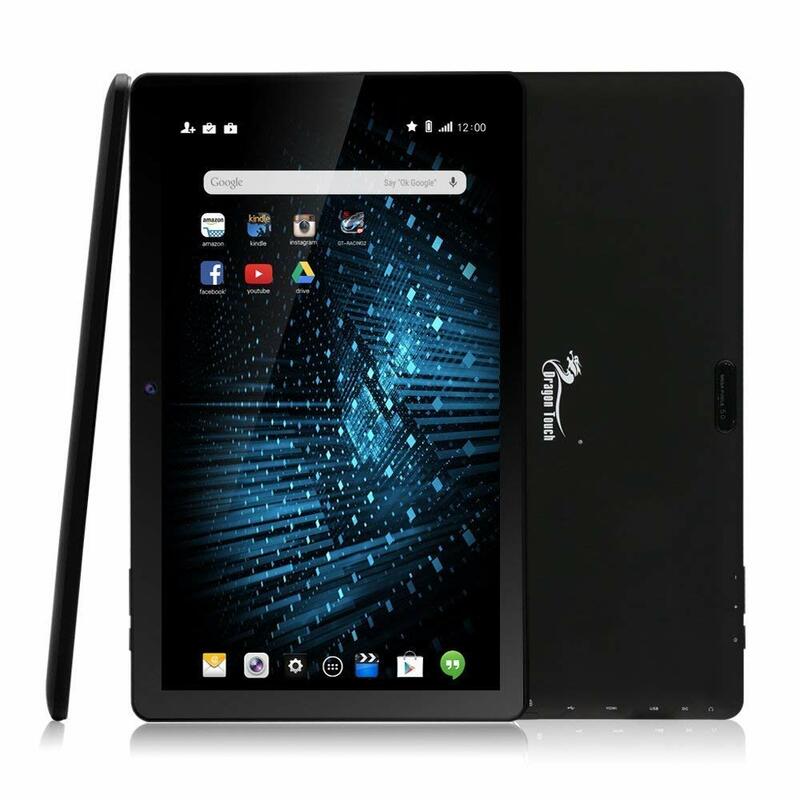 Priced at $218 this tablet provides the users with all the functioning of a premium product at reasonable prices. It is equipped with a sturdy 11.6 LED display and a battery power of up to 10 hours. The unique and beneficial feature of this device is that it can double as a laptop as well as a tablet. It is a high-quality touchscreen device with multi-touch support. 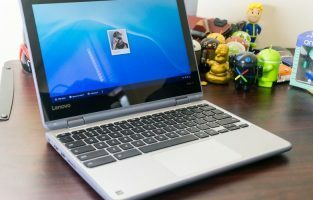 It runs on the Chrome OS operating System. The beautiful design and portability of this device make it comfortable to use while on the go. It also has a keyboard attachable for more convenient typing. It needs to be connected to the wi-fi for better functionality. It is accompanied with an Intel Quad-Core N3150 1.6Ghz, 4GB Memory, 32GB SSD, Bluetooth and Webcam support. At its reasonable pricing, this is a fantastic option for bloggers. Priced at just $255, the Asus Zen Pad 3S 10 is one of the cheapest tablets available for bloggers in the market. With a screen size of 9.7 inches and a battery life of 12 hours, it is a value for its money. Although the overall speed and performance do not match up to the more expensive variants, this device is the best full-featured device in the market at its budget pricing. 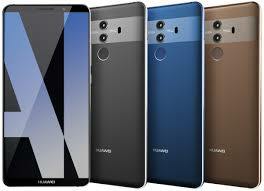 It also has features such as a 4GB RAM, storage space of 64 GB, wifi and Bluetooth. It operates on the Android 6.0 Marshmallow operating system. 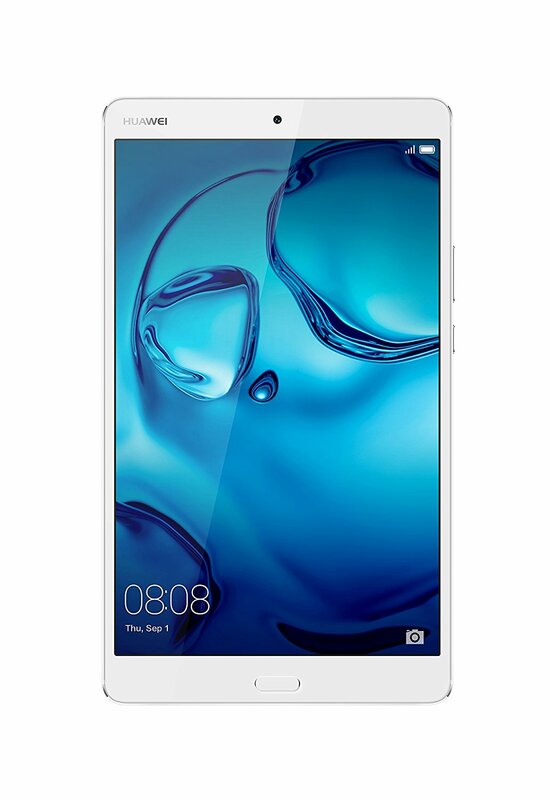 The Huawei Media Pad is a high performing tablet introduced by Huawei. It acts as a good alternative to tablets such as the Samsung Galaxy Tab and the iPad mini. With a storage space of 32 GB and an 8.4-inch screen, it is one of the best budget tablets available in the market. It is a light and easily portable device, with a battery life of 8-9 hours. Its performance is exceptional. It also boasts connectivity to high-speed WI-FI network connectivity, which is an important requirement for bloggers. It operates on the Android 6.0 Marshmallow. It is a great budget option available for price-conscious bloggers and writers. With a crisp and defined screen resolution and extraordinary battery life, the Lenovo Yoga Tab 3 is a great introduction to the market. It is reasonably priced and performs beyond expectations. It comes attached with a flexible stand that ensures that you can do your work anywhere. The unique feature of the stand is that it moves in complete flexibility and can be used in wa ide range of angles. It runs on the Android 5.1 Lollipop Operating System. With the use of an active stylus or an attachable keyboard, this device is perfect for bloggers. 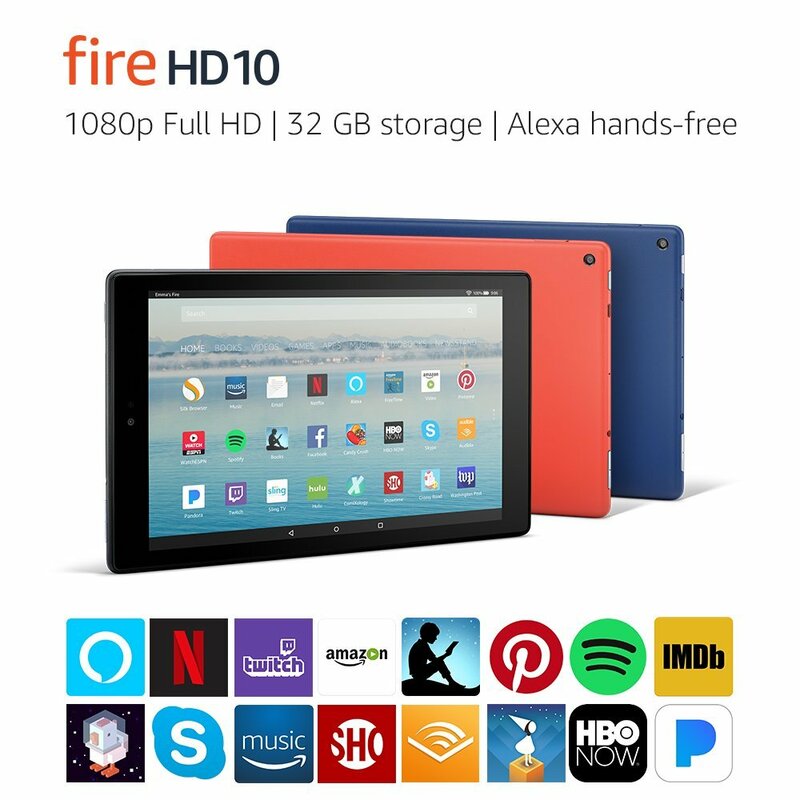 Priced at just USD 150, Amazon Fire HD 10 is one of the best options for budget-conscious bloggers. With its expandable memory to its powerful 10-hour battery, this tablet provides tough competition to its more expensive variants. A useful feature of this product is its built-in access to Alexa in hands-free mode. This provides prospective bloggers to an unlimited availability of information. Its exclusive access to Amazon Prime also provides its users with access to a wide variety of entertainment. There are many benefits to using a tablet for bloggers. The most obvious one is of course mobility as it allows you to write on the go no matter where you are. Nothing can compare to writing on a desktop, but you can only write when you are at home or at work. With a tablet you can write wherever you want and whenever the latest news breaks. The faster you are in bringing your content online, the more readers you will get, which is always a plus in the blogging world. Another great advantage is that tablets can display graphs, videos and other bits of information which you can use in your blogs. Having the ability to create notes can help a lot when it comes to writing content for blogs and articles. Moreover, with additional accessories such as a dock, Bluetooth mouse and keyboard you can write more efficiently and quickly no matter where you are. Before buying a tablet, however, there are a few things you need to consider such as your budget, how long you plan to use it, whether you need a stylus etc. Each individual will have their own preferences in regards to how they write. If you are someone who is always on the go, then you need a durable tablet that is compatible with external accessories such as a power bank, keyboard, mouse, stand etc. All tablets do support accessories; however, some of them might provide a smooth user experience due to compatibility and optimization issues. You also need to look for reviews from multiple sources to get an accurate picture of the quality and user experience. Once you are satisfied with what you have found out, you can be on your way to purchase the right tablet for your needs.